oh cute wallie! Nice job with the vectoring! Well Done! Sweet! The background is plain, but this is probably for the best so that the characters are better highlighted! YAY! I love Mikan and Natsume! I think they make such a perfect cute little couple! Love your wallie! Thanks for sharing! It is a simple vector but I love the couple. Great job. ZOMG! He's sooo cute! 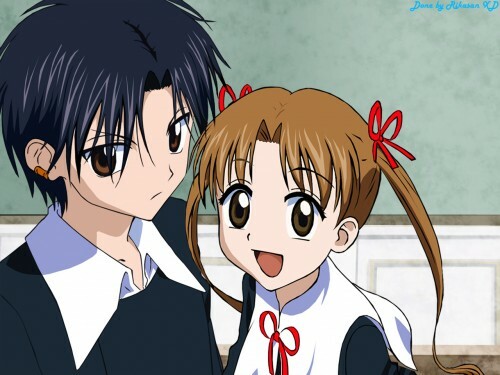 I just got done watchin' the anime over @ Crunchyroll.com... Its a cute anime... I heard the manga isn't done? I need to hitup on that! I love Natsume and in the end he better end up with Mikan.